On February 6, Sen. Ted Cruz (R-TX) joined AEI’s Colin Dueck to discuss American foreign policy and the Senate’s role in shaping it. Sen. Cruz delivered a speech, highlighting how American national interest should be the driving force of foreign policy, and then responded to questions from Dr. Dueck and the audience. Sen. Cruz’s speech called for a foreign policy that is neither interventionist nor isolationist, but one that consistently emphasizes American interests. Policies of regime change and intervention often end up working against America’s own interests, he said, citing Iraq and Libya as examples. Rather than intervening militarily as a first resort, he argued for a multipronged approach to foreign policy that combines American economic, political, and military options with robust defense capabilities. Sen. Cruz advocated a distinct approach to relations with four types of countries: allies, problematic allies, enemies, and rivals. His conclusion emphasized moral clarity and a bipartisan, national-interest foreign policy. After the speech, Dr. Dueck spoke with Sen. Cruz about US policy toward Syria and Afghanistan, the president’s constitutional authority on tariffs and statecraft, and Congress’ role in crafting foreign policy. In a brief audience Q&A, Sen. Cruz talked about his approach toward sanctions, Russia, and Taiwan. President Donald Trump has made his foreign policy views clear through the National Security Strategy, emphasizing great power competition, national interest, and alliance and trade relationships. Under the Constitution, the United States Senate is charged with vital roles in crafting strategy, waging war, and forging treaties. How do conservatives understand the Senate’s role in conducting American foreign policy? What are the constitutional, prudential, and political considerations in advancing America’s national security interests? Please join AEI for a discussion on these themes with Senate Foreign Relations Committee Member Ted Cruz (R-TX) and AEI’s Colin Dueck as they explore the present and future of conservative foreign policy. Join the conversation on social media with #CruzAtAEI on Twitter. For more information, please contact Max Frost at [email protected], 202.862.5838. Ted Cruz represents 28 million Texans in the US Senate as a passionate fighter for limited government and economic growth. He has authored 39 legislative measures signed into law. He has fought for and secured measures imposing sanctions on terrorists who use civilians as human shields, deepening the US-Israel relationship. He has also worked to highlight Iran’s malign behavior, mandate the development of space-based interceptors for missile defense, block Chinese access to US naval exercises, hold the oppressive Ortega regime accountable in Nicaragua, and been a key leader on other initiatives boosting America’s allies and challenging her enemies. He is a member of the Senate Foreign Relations Committee; the Judiciary Committee; the Committee on Commerce, Science, and Transportation; the Joint Economic Committee; and the Committee on Rules and Administration. Sen. Cruz is a graduate of Princeton University and Harvard Law School, a former law clerk to Chief Justice William Rehnquist, and former solicitor general of Texas. He has argued nine cases before the Supreme Court. In November 2018, he was reelected to the Senate by the people of Texas. 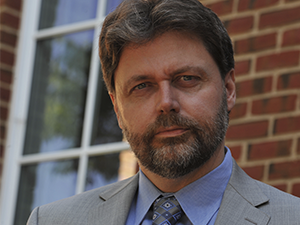 Colin Dueck is a Jeane Kirkpatrick visiting scholar at AEI, where he is focusing on the interconnection between US national security strategies and party politics, conservative ideas, and presidential leadership. He is also a professor in the Schar School of Policy and Government at George Mason University, where he is the faculty adviser for the Alexander Hamilton Society. A senior nonresident fellow at the Foreign Policy Research Institute, he has also served as a foreign policy adviser on several Republican presidential campaigns. Dr. Dueck is the author of three books on American foreign and national security policies: “The Obama Doctrine: American Grand Strategy Today” (Oxford University Press, 2015), “Hard Line: The Republican Party and US Foreign Policy Since World War II” (Princeton University Press, 2010), and “Reluctant Crusaders: Power, Culture, and Change in American Grand Strategy” (Princeton University Press, 2006). He has testified before Congress and has been published in academic journals and the popular press. These include International Security, Orbis, Political Science Quarterly, the Review of International Studies, Security Studies, World Policy Journal, The New York Times, Foreign Affairs, RealClearPolitics, and National Review. A Rhodes Scholar, Dr. Dueck has a Ph.D. in politics from Princeton University and an M.Phil. in international relations from Oxford University. He was also awarded a John M. Olin Postdoctoral Fellowship in national security studies by Harvard University. His earlier degrees in history were obtained from the University of Saskatchewan.